This post is #3 of our series on Cruises. 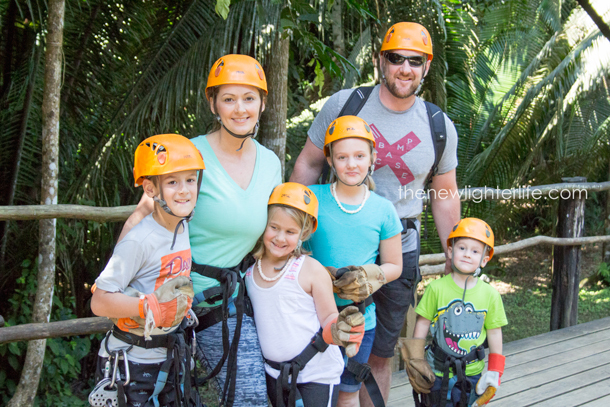 Our family of 6 had never cruised before so we didn’t know what to expect. Today I’m going to address our biggest questions/concerns, (before the trip) and tips from the cruise to help you navigate yours. 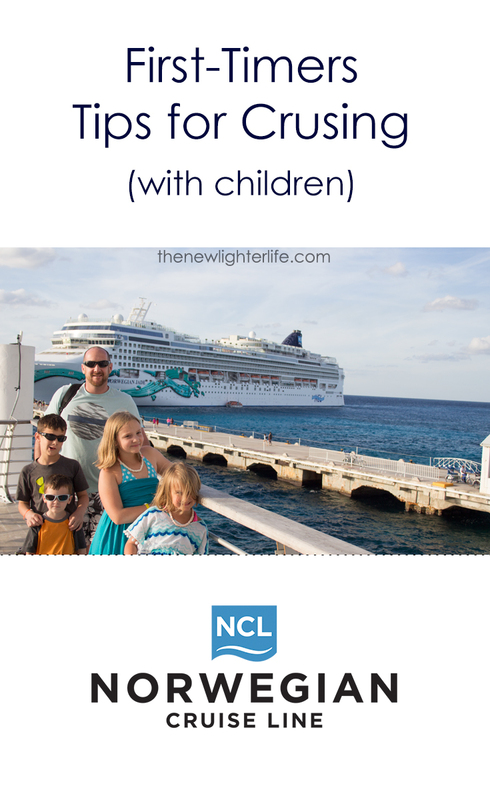 Some of these tips apply if you are cruising with children…some apply regardless…and some are The Norwegian Jade specific. Be preventative in dealing with motion sickness. I addressed before, but PLEASE bring something for your little ones for motion sickness! Sea Bands or motion sickness patches are my top recommendation since neither cause drowsiness. You don’t want to be that family that has a child that threw up in the buffet area. Blegh. Meet other families and exchange information. Our kids made quite a few friends on the cruise. We only exchanged info with one family, and that was at the very last second on disembarkation day. What is cool is now we’re able to keep in touch on Facebook and if the boys ever get chatty enough, they can talk. Or if our families cross paths, we’d love to grab a bite to eat with them. I’m very disappointed our oldest didn’t get email/penpal addresses for the little friends she made. To do it again, I would have made up little cards for them to hand out with their email addresses. Have a plan for your port days. The least favorite port we went to was Cozumel. This was not because Cozumel wasn’t gorgeous but because we had absolutely no clue what we were doing. Last minute, we decided to rent a car and explore. This really equated to a whole lot of wandering around aimlessly and missing the best spots until it was too late in the day and close to port call time. Then we got lost! We know how to read a map but as luck would have it, on that particular day, there was a color run and most of the roads at the port and rental car agency were barricaded. Thank goodness for a kind-hearted police officer who used his personal cell phone to help us meet up with the agent on a side street. Stressful! Leave electronics at home. This is probably more of a pet peeve of mine, but there is SO much for everyone to do on board. In my very strong opinion, there is not enough dead time for them to need to play video games. Because we didn’t bring them, they weren’t even an option, but the absence of electronics forced us to be engaged with our children when they were with us. Now if you’re worried they’ll drive you bonkers all the time, the kid’s club, to drop them off) is open much of the time so they will not be bored. Our kids had a blast and like I mentioned in #2, they’ll get to make a bunch of friends. Read the fine print on the shows. 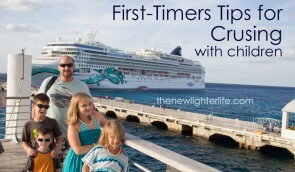 Oh goodness, one of our worst parenting moments happened onboard. The cruise entertainment was spectacular but one particular show was VERY seductive! I mean so much so I yelled down the aisle for them to look away. Keep in mind, our kids are homeschooled we keep it very G-rated in our house. After the show, we looked at the program for the day. Sure enough, it was there in the description, “seductive”. Crikey! Pictures pictures pictures. #1 – Make sure you take enough pictures to capture your awesome vacation. (I didn’t take nearly enough) There is a fine line with enjoying your vacation and constantly needing to document your vacation. #2 – Get shots with everyone…if you are the family photographer, have a camera others know how to operate so you can also be included. You may be camera shy but in 20 years I think you’d much prefer to see how amazing you looked 20 years y0unger and on your vacation. Most often, I used my DSLR but Mark doesn’t know how to use it so I was rarely in the photos. I’m not really into staring at photos of myself but it would be nice to see us all together in more of our photos. 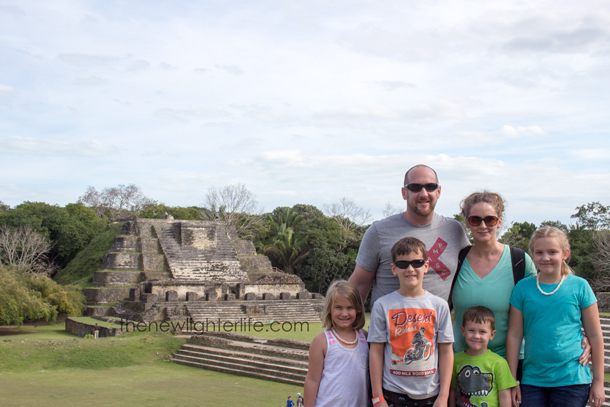 Thankfully, our tour guide in Belize took pictures of our family at Altun Ha (Mayan ruins) and ziplining. #3 – The cruise line is there to take photos at all the ports but we just couldn’t justify the cost for expensive novelty photos, (that were rushed and we all looked uncharacteristically haggard) vs real-life vacation photos. Eat at a specialty dining restaurant. We had 4 meals included in our package and loved the break from the buffet for dinner. (if you’re on the Jade…I highly recommend Teppanyaki, Cagney’s Steakhouse, & Le Bistro! The Coin Pusher game, (in the casino) is loads of fun, but you can’t win. I find it hilarious that I’m even sharing this tip, but we had a lot of fun playing that game on the cruise. As you know…#1, the house always wins. And…#2, the folded up bills the machine drops are just puny denominations. For instance, the bills in one wad consisted of just 1 $10 bill and two $1 bills wrapped up. So much fun, but know that is all this game is…fun. The dice keychains are just souvenir keychains and the “Winner” coins are for a bottle of dreadfully tasting wine. Ummm…yeah…we played that game a few times. Rest assured, there are no winners with Coin Pusher aka Coin Snatcher. LOL! Keep smaller bills, (in good condition) to tip staff. As I mentioned before, tipping is included in the daily gratuity/service charge that you pay at the end of the cruise. However, you have to know that the staff works long hours for very little pay. There are times when you really want to bless them for their service. We paid larger tips to our Steward, Concierge, & Butler but also tipped several of the wait staff because they were so accommodating. The people who run the Splash Academy (children’s activities) were saints and I wish we would have tipped the ones who we know made it all so much more enjoyable for them. Don’t be a jerk. I don’t think this is a tip, but instead, more of a reminder…kindness goes a long way. Be friendly and gracious. Meet others, (unless you are anti-social) and go with the flow. No one likes a diva. Any cruising experts out there…I’d love to hear what tip you’d share!